Dr Silke Meyer is a Senior Lecturer in Domestic and Family Violence Practice at Central Queensland University and an Honorary Research Fellow at the Institute for Social Science Research at The University of Queensland. She is currently developing and delivering a new postgraduate program targeted at practitioners responding to victims, perpetrators and/ or children affected by domestic and family violence. Her research centres on different aspects of domestic and family violence, including women and children’s safety and wellbeing, men’s accountability in their role as perpetrators and fathers and experiences specific to Aboriginal and Torres Strait Islander communities. Dr Meyer has recently been appointed as one of the non-government board members on the Qld Domestic and Family Violence Death Review and Advisory Board. 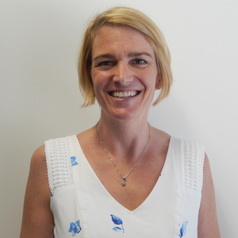 She has been a Chief Investigator on a number of program evaluations, including an evaluation of an integrated response to domestic and family violence for the Queensland Police Service and Department of Communities and a national evaluation of the Respectful Relationships program for the Department of Social Services.